Our way of thanking customers for getting involved with our content that we publish. It’s essentially just a way of tallying who is most active on our website and rewarding them. 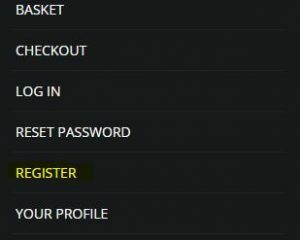 First of all, you will need to register on our website, Just navigate to the tab in the top left of the website. You are now ready to start earning beauty points! 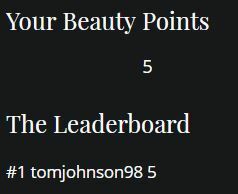 Your beauty points should be displayed on the sidebar and below this should have a leader-board. This will display the top 3 users and if you are not within this top 3 your score will show below regardless. Here is an example on a test account. You will earn points for being part of the Apsara Community. This means commenting on our website posts, visiting the website on a daily basis and sharing posts to your social media. You will receive 50 points for making a booking with us on the treatment page! All points are automatically calculated based on your activity. For example, a comment on a blog post is 5 points. Spamming comments and overall exploitation will result in -10 point deduction. Give it a try, you will get 5 points for commenting on this post! I will reward additional points any users who share this post. Let us know what you think in the comments below, if you have any questions feel free to contact us.